New research conducted by a group of scientists at the University of Southern California (USC), whose findings are published in the Journal of Clinical Oncology, suggests that regular exercise could extend the life expectancy of breast cancer survivors, by lowering their increased risk of type 2 diabetes, heart disease, and potentially breast cancer recurrence. According to Dr. Christina Dieli-Conwright, the lead author and assistant professor of research at USC Division of Biokinesiology and Physical Therapy, people are unaware of the primary cause of mortality among breast cancer survivors, which is cardiovascular disease rather than the cancer itself. According to the American Cancer Society, the survival rate of breast cancer is relatively high, with an estimated rate of 9 in 10 being alive five years following their diagnosis. However, women tend to gain body mass during the cancer therapy, which is considered to be a notable issue. 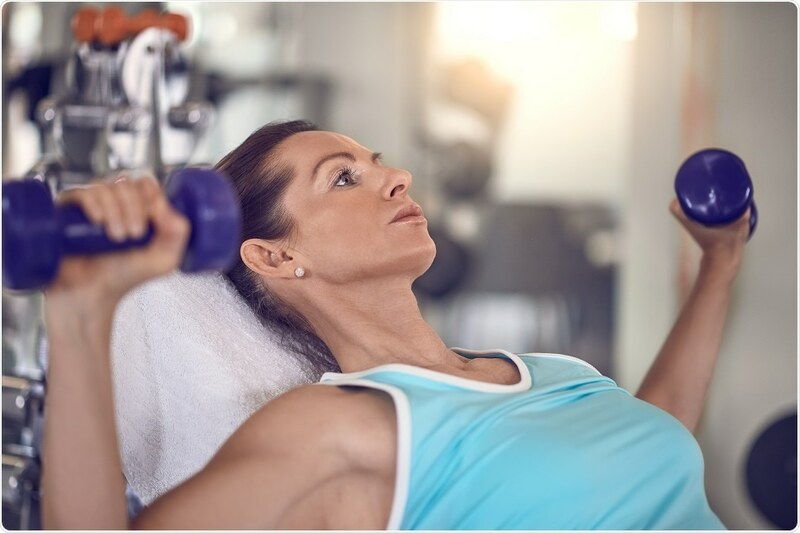 The current study findings suggest that female breast cancer survivors engage in aerobics and resistance exercises to lower the risks of metabolic syndrome, which refers to a cluster of health conditions that include excess body fat, high blood pressure, and high triglycerides. High triglyceride levels tend to elevate the risks of heart attack, stroke, and cardiovascular disease. Factors such as obesity, receipt of chemotherapy, and a sedentary lifestyle may aggravate the metabolic syndrome in breast cancer patients. Per the findings of the current study, almost 17% of women with metabolic syndrome are more prone to risks of breast cancer. They have a threefold increased risk of breast cancer recurrence and a twofold risk of increased breast cancer mortality. The study was a randomized trial involving 100 breast cancer survivors, who had undergone cancer therapy for a period of less than six months prior to the initiation of the study. The participants were subjected to three one-on-one sessions per week over four months and the program encompassed resistance training with weights and at least 150 minutes of moderate-intensity aerobic exercise. At the beginning of the study, 46% of the participants were obese and 77% had metabolic syndrome. Subsequent to intervention, only 15% of participants in the exercise group had metabolic syndrome compared to 80% of those in the control group. Women belonging to the exercise group had lost fat and developed muscle. Their blood pressure levels decreased by 10% while good cholesterol (HDL) increased by 50%, leading to overall reduced cardiovascular risk. According to Dieli-Conwright, obesity triggers inflammation, which might stimulate tumor growth and the risk of cancer recurrence. In a former study, she examined the blood samples and fat biopsies from 20 obese patients. From the findings, she found that exercise could improve systemic inflammation and lower inflammation in fat cells. Dieli-Conwright said: "Exercise is a form of medicine. Both of these studies support that idea, and we will continue to conduct studies to supplement traditional cancer therapies."